A new and exciting version of August Strindberg's classic. 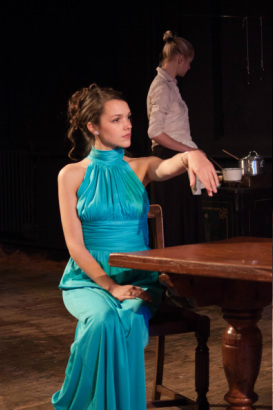 Miss Julie is performed at the Bussey Building, Wednesday - Saturday at 8PM and with a matinee at 3PM on Saturdays. The Bussey Building is located at 133 Rye Lane in Peckham, SE15 4ST. The neareast train station is Peckham Rye.